It has been a while since last I looked in on my blog. Hefty slap on my wrist self-administered. I thought it was about time that I brought you up to speed on some of my writing that you might have missed in the meantime. In regards Joe Hunter, Marked For Death, the 12th book in the series is now available in ebook, hardback and paperback editions. The Tess Grey and Nicolas 'Po' Villere series continues to grow, with book 5 in the series False Move to be published on 31st January 2019, with an ebook to follow. I also started a new series, a crime and supernatural cross-over, with DARKE, and this is now available in ebook, paperback and also as an audio download read by Julia Barrie. I make stuff up for a living. I’m not a professional liar; I’m an author of fiction books. It’s a weird contradiction considering one of the things I dislike most is telling a lie. I try to temper both aspects of my psyche by reassuring myself that when writing fiction it’s more a bending of reality than a downright untruth. So I’m happy enough with that. Except sometimes reality can prove not only stranger than fiction, it can sometimes overtake it to a point where it is almost unbelievable. When I was writing my most recent Joe Hunter novel, Marked For Death, I had him stumbling into a terrorist plot to attack soft targets in the US. Some of the scenes I’d written reflected too closely the shocking attacks that subsequently occurred in London and Manchester, so I went back and changed them. It wasn’t because I wanted to shy away from the horror experienced by the victims of the attacks, but neither did I want to cause them any distress. I don’t write action thrillers to glorify violence, but to show how ugly and damaging it really is. I stuck with the plot, if not the individual scenes, and instead of avoiding the issue altogether I wove the incidents into the narrative to add a touch of realism to my fiction. In one way, I guess that by still sending Hunter up against the bad guys I was thumbing my nose at those lunatics trying to terrify us into changing our way of life. But then, maybe I’m thinking too deep. No. I write primarily for entertainment’s sake. 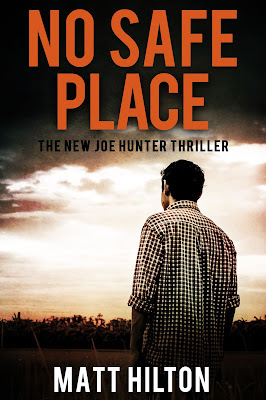 The Joe Hunter books aren’t some social, political or religious comment on the state of the world. They’re there for fun and a visceral kick of adrenaline. I make ’em up, so that readers can escape reality for a few hours, where they can cheer for the good guys and boo and hiss at the baddies. For this one I’ve ramped up the action to please my long time fans, and hopefully to give new readers another hero to root for. If you haven’t tried a Hunter book before, it’s probably a good idea for me to introduce him. Hunter is British, an ex-soldier who once worked for a fictional counterterrorism unit, but is now out in the world with little direction and a heap of physical skills. In the books he works for his friend Jared ‘Rink’ Rington’s private investigations firm in the USA. But Hunter isn’t an investigator; he is employed to do the kind of work where some physical intervention might be required. He tends to be a protector first, and sometimes a vehicle for vengeance. He isn’t afraid to use his fists or his gun when trouble arises, and he’s the type to attract trouble. In some respects he’s a throw back to earlier days, a bit like the lawmen of the Wild West, tough and uncompromising, with a set of questionable morals, but also good at heart. 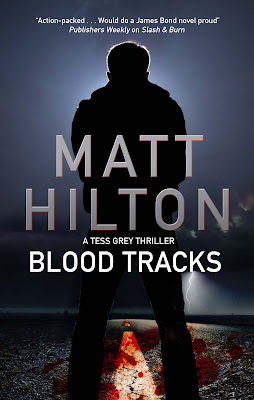 His adventures aren’t what you find in your typical British crime fiction novel, and aren’t whodunits or police procedurals, they’re more race against time thrillers. There’s a reason why I chose to write in this style and it’s because it’s the type of book I prefer to read. I grew up reading what used to be termed men’s action adventure books (now more commonly called action thrillers) and was hugely inspired by them when I set out on my own writing career. American authors wrote many of those books, and so I’ve absorbed more of their tropes than I have of classic British crime fiction writers. Crime obviously plays a huge part in the Hunter series, but viewed from a different angle than a mystery to be solved, and more a problem to be dealt with. Marked For Death is the twelfth book in the Joe Hunter series, but fear not, it is a standalone adventure, and a good place at which to meet Hunter if you choose to pick up the book. Despite the dark and fearful nature of the crimes involved, it’s a fun and frantic ride. And like I said, it’s makey-up stuff, although set against a very real backdrop, and genuine threat. In my humble opinion I believe it’s Hunter’s most explosive adventure to date. Honest. Would I lie to you? At author events, and during interviews, I’m often asked what my working day consists of, and how I approach my writing. So I thought this could be a good opportunity to explain. Since leaving the police force to write full-time in 2008, I’ve managed to pen (actually that should be type, as I work direct onto my computer screen these days) twenty-two published novels, with between 90 and 120 thousand words in each, as well as a raft of short stories, novellas and flash fiction, primarily in the action thriller genre, but also some horror and supernatural. That’s not including all the words I write for articles, interviews and on the social media networks, of course – I’ve probably written more there than ever ended up in any published volume. When I say that, some people blink in surprise, and wonder aloud how I manage to write so much. The trite answer is that it’s my job, but in reality it’s also what I enjoy doing. I’m paraphrasing but there’s an old adage that goes something like “to eat an elephant take only one bite at a time”, and it’s with that steady approach to manageable chunks that I go. When you think about it, writing one thousand words a day is achievable (it’s less the length of this blog post). In 90 days, that’s 90 thousand words, and about the length of a modern manuscript of approximately 300 pages in book form. If you double your word count, you can write a 90K words rough draft in as little as one and a half months. That isn’t to say that your book is finished by any means, as editing and re-writing must be taken into account, but you can see how the daunting prospect of writing a book might not seem as impossible any more. Obviously I’m in the enviable position of having the time to write, to get down my word count, but being an author these days isn’t just about writing a book – there’s so much more that must be done that ekes into my time too. I’m still a family man with commitments, and part of my job these days is to engage with readers and attend library and bookshop events, and conventions, so every day isn’t a writing day. But I do try to write every day, even if it’s only a paragraph or two – each little bit of that elephant I tackle makes less to face tomorrow. When I’m on a deadline, I set myself a daily target of two thousand words, and I force myself to sit down and get them done. Usually, once I know where the book is headed and the adrenaline kicks in as the end comes in sight, I speed up, and it’s not unknown for me to write two or three times as much per day. I’m not much of a forward planner. I prefer to write by the seat of my pants. Usually I have a theme in mind, a very basic plot and where things might end up. Then I start at the beginning and write through to the end, usually being surprised by the direction the story takes itself as I go. There’s no right and wrong way to write. Some authors prefer to meticulously plot their books, and write out a mass of notes, plot chapters and scenes beforehand, before ever getting down to writing the book itself. That’s good. I’m the opposite. But that’s good too. As is every other method in between. You have to find the way that suits you. I’ve tried plotting books out chapter by chapter and found myself getting bored, or going so far off tangent that getting the story back on its original track is almost impossible. I prefer my writing to be almost organic, growing in my mind as I put down new seeds on paper. I also write quite visually. By that I mean I choreograph scenes in my mind’s eye the way a movie director might, choosing the best angle, the best point of view to show the action from, and then translate them into the medium of prose. Often, by the action-packed nature of my books, I get caught up in the writing, and have been known to bounce about on my chair, fist-pumping the air while wearing a silly grin. My research method is similarly as organic. There’s nothing like getting your feet on the ground, and hearing, smelling, tasting and touching the environment to get a genuine feel for the places you write about. But because I’m often writing about the USA while sitting at my desk in a rural corner of northern England, that option isn’t always open to me. So I rely a lot on the Internet and Google Earth etc. But what I prefer to do is look out random facts, then follow other links to something I wasn’t looking for in the first place. It’s those little surprise finds that often add flavour to your writing, rather than some info dump grabbed wholesale from Wikipedia or some other source. Occasionally I come across a fact or even place or feature that I simply have to incorporate into the story. It’s also not unknown for me to make stuff up: I’m a fiction writer after all. Seriously though, by that I mean I’ve created towns and streets and islands that exist only in my imagination, where to use a real location might upset those living there, or bring down the value of their property when I blow up their homes (not literally of course). I tend to edit as I go. My first task is to go over what I worked on the previous day. I re-read and titivate. It’s an exercise that gets me back into ‘voice’ and also reminds me of what was on my mind when I last left off. From there I continue writing, and then repeat the process the next day. Often when I get to the end of the book I end up with an almost clean draft that I then submit to my editor. It’s never perfect, but any rewriting after that tends to be minimal to pick up hanging plot threads or major boo boo’s I might have missed. And the dreaded writer’s block? I can’t allow it to stall me. If I’m struggling to write I switch and go and do something different. I’ll write something for a blog, or a short story with different characters, or even mess about on Facebook for a while. As long as I’m writing, the problem seems to resolve itself and I’m able to return to my original piece with the heel-dragging demon exorcised. Best advice for aspiring writers? Don’t think one day I’ll write a book, start today. And keep on keeping on, one chewy mouthful of elephant flesh at a time. 1. Q: Your name sounds like a thriller writer’s name, is it real or a pen name? A: It’s real. I’m actually called Matthew, but that’s my Sunday name, or when I’m ignoring my wife and she has to raise her voice. I’ve been confused with the TV director (Coronation Street among other things), but we’re different people, and with the ex-world champion boxer who does happen to be my cousin. I’m not Paris Hilton’s brother and don’t own any hotels. 2. Q: Your Joe Hunter books are set in the USA but you’re not American are you? A: No, I’m a Brit. I was born in Scotland, but have been raised most of my life in Cumbria. I currently live on the Solway Firth with my wife Denise and two large hairy dogs called Spooky and Akisha. 3. Q: Is Joe Hunter an American? A: No, like me, Hunter is a Brit northerner, raised in Manchester who joined the army, and was later drafted into an experimental counterterrorism group called Arrowsake. After leaving the forces he fell into a vigilante mode in Manchester, before heading off to the USA in search of his wayward missing half-brother, and he has never come home. He now works for his pal Jared ‘Rink’ Rington’s PI outfit based in Tampa, Florida, where he is usually called on when his “particular set of skills” are required. 4. Q: If you’re a Brit and Hunter’s a Brit, why make things difficult for yourself and write books set in the USA? A: To be honest, although I see myself primarily as a crime fiction writer, I’m not a big reader of British crime fiction. I grew up reading American thrillers, so when I started writing I gravitated to what I knew best. Also, because Hunter’s adventures tend to be slightly over the top action pieces, I wanted an arena large and diverse enough to contain them and the USA offered the choice of so many differing locations. Having Hunter as a Brit allows me to use his ‘an Englishman abroad’ attitude to lace some humour into the books, and to also cover for me when I get some of the details wrong – I can say Hunter made the mistake not me. 5. Q: You were a police constable before becoming a full-time writer; does your police background help you write the stories? A: Not as such. I tend to steer away from police procedure and go for a more action driven element to the plots. However, I do rely on my experience to put myself in the shoes of those caught up in the action, and occasionally drop in a few anecdotal stories from my police background – suitably disguised – to add a little realism or dark humour. 6. Q: The Hunter books are often compared to Lee Child’s Jack Reacher books. Do you think they’re a fair comparison? A: First off, it’s a huge honour to be mentioned in the same sentence as either Child or Reacher, both of whom I admire deeply. I’m pretty sure that many of Reacher’s readers will enjoy the Hunter books (but some may not). The comparison is made because both our characters are ex-servicemen righting wrongs in the US, but they’re totally different characters. Reacher is far more cerebral than Hunter, and often thinks and plans before he punches anyone whereas Hunter is more spontaneous and volatile and often falls into deep trouble because of it. Reacher is a loner, but Hunter works with his close friend Rink and various other supporting characters. The Reacher books tend to have mysteries to be solved, whereas Hunter is usually thrust into an adventure. Saying that, they’re both in the same genre, and will probably appeal to readers for that same reason, as long as you come into them with no expectations. 7. Q: Was Hunter influenced by the Jack Reacher character? A: No. Hunter is the amalgamation of various characters I read about while growing up (Mack Bolan, Remo Williams, John Rambo, Saul Grisman, The Punisher, Joshua “Edge” Hedges, and even Judge Dredd), plus characters I wrote about and developed along the way in previous books. The similarities with Reacher could easily be attributed to any of those characters too. 8. Q: Can you tell us a little about your latest Joe Hunter book - Marked For Death - and where it sits in the Hunter series? A: Sure. To date there have been eleven previous Hunter books, plus a bunch of short stories. Marked For Death is book twelve, but can easily be read as a standalone. I’ve kind of gone a little easy on Hunter in the last couple of books, but with this one I’ve thrown him headlong into what I believe is his most explosive adventure to date. When he intervenes in what first appears to be a domestic dispute he has no idea what kind of trouble he’s getting himself – and his friends – into, and is soon on the run from heavily armed killers and caught up in a plot ripped direct from today’s headlines. 9. Q: When you’re not writing, are you reading? And if so who are your favourite authors and can you recommend some lesser-known authors your readers might also like? A: I’m an avid reader, and tend to go for thrillers or horror books. I’m a huge fan of John Connolly, Jack (J.A.) Kerley, Stephen Leather, Tom Wood, Mason Cross, Sean Black, Dean Koontz, Adam Neville, and Robert Crais. Authors you might not have come across yet but are some favourites of mine are Adrian Magson, James Hilton (yes, he’s my brother but a damned good thriller writer), Graham Smith, Mike Craven, Rod Glenn and Paul D Brazill – if you haven’t tried any of those guys yet, you’re missing out. There are so many other great authors I could mention, but would undoubtedly miss someone, so I’d best leave it there. 10. Q: What was the last book you read, the one you’re reading now, and what’s next on your TBR pile? A: I’ve just finished John Connolly’s latest Charley Parker novel “A Game of Ghosts”. 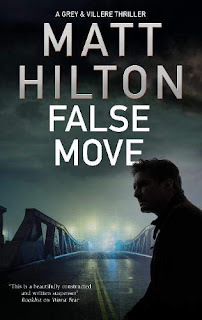 Currently – believe it or not – I’m reading my brother James Hilton’s latest Gunn Brothers thriller “Fight or Die”, and sitting tempting me on by bedside table is Mike Craven’s latest Avison Fluke novel “Body Breaker”. 11. Q: The Hunter books are often described as cinematic. Are there any plans for a movie? 12. Q: Let’s play the dream cast game. If a movie was made who would you cast in the starring roles? A: It’s always dangerous for a writer to mention specific names as sometimes that image isn’t the one in readers’ heads, but if pushed and was casting Marked For Death I’d go with Max Martini as Joe Hunter, Duane “The Rock” Johnson as Rink, Damon Wayans as Harvey Lucas, and Scarlett Johansson as Trey. Hopefully I haven’t just kicked off another Tom Cruise as Jack Reacher debate. 13. 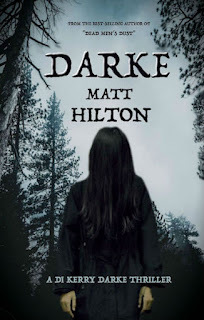 Q: So what can we expect next from Matt Hilton? A: Marked for Death is published 17th July 2017 by Canelo, and the fourth book in another series I write – featuring Tess Grey and Nicolas ‘Po’ Villere – called Worst Fear will be published 29th September 2017 by Severn House. I’m currently working on an idea for a new crime fiction series, but it’s early days on that one yet, and also mulling over where to send Joe Hunter next. I’m pretty sure that it will be somewhere dangerous. 14. Q: What inspires you to write, and do you have any advice for wanna-be crime fiction authors? A: I’ve been a writer for as far back as I can recall. I began as a small child at school, and one of my earliest memories is reading Bambi, and also seeing the movie of Watership Down. I immediately set out to write a story featuring baby deer fighting to survive when loggers threatened their forest. After that my next big inspiration came when I discovered that my favourite author – Willard Price – had died and there’d be no more of his animal adventure books, so I took it on myself to write a sequel called Antarctic Adventure. That I had a polar bear and penguins sharing the ice alongside a humongous mutant walrus doesn’t matter when you’re about ten years old. So, I could say that my inspiration has come from wanting to emulate the writers I admired. I started writing crime fiction after reading men’s adventure books and American thrillers, so the same could be said for my adult career too. In regards advice, the best thing I can say is to follow your dream and never give up. I first planned on being an author when I was very young and didn’t give up, despite decades of trying and failing before I got my first publishing agreement. Write what you know – by that go with a subject you’re familiar with or have grown familiar with through research – and also write the kind of book you’d love to read. That way your voice comes across more naturally, and also you’ll enjoy the experience of writing your book more. I’m not saying anything is wrong with taking lessons or creative writing courses, or any other route, but the best thing I found for me was to write a lot and read a lot in your chosen genre, and learn through the process of doing. Also settle down for the hard slog because it takes stamina to finish a book, but when you do, boy was it worth it. 15. Thanks for taking part Matt. A: It was a real pleasure. Thanks for having me. MARKED FOR DEATH - the brand new Joe Hunter thriller has just been published (17th July) by Canelo in eBook, and is available through all major digital platforms. It should be a routine job. Joe Hunter and his associates are hired to provide security for an elite event in Miami. Wear a tux, stay professional, job done. Before long this chance encounter has serious repercussions for Hunter and his friends. Good people are being killed. On the run, in the line of fire, the clock is ticking. 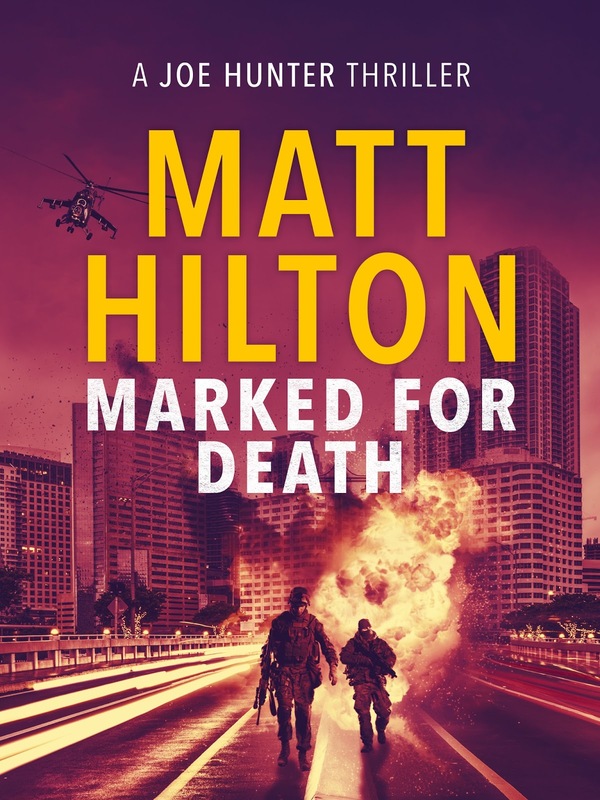 From the bars of Miami Beach to car chases and superyacht grenade battles, bestseller Matt Hilton dials up the intensity in this rip-roaring, set-piece filled thriller perfect for fans of Lee Child, David Baldacci and Stephen Leather. This is the eleventh in the series for those who like to read their series' in order, but is pretty much a standalone adventure, that sees Hunter expanding his detective skills. From the best-selling author of "Dead Men's Dust"
and the police think he is responsible? I will be launching BLOOD TRACKS the first in my new series from Severn House Publishers at a signing session at top independent bookshop Book Ends in Carlisle, Cumbria at 2pm on Saturday 5th December 2015, and invite everyone along wishing to get a signed/personalised copy for their collection. Introducing private investigator Tess Grey and Southern renegade ex-con Nicolas 'Po' Villere in the first of a brand-new series of fast-paced action thrillers. When her local District Attorney offers her a considerable sum of money to track down state witness Crawford Wynne, private investigator Tess Grey is in no position to refuse. Wynne is one of the few men still alive who can help the State nail vicious drug lord Alberto Suarez. But Tess is not the only one trying to track Wynne down. Suarez's psychotic brother Hector has been hunting and butchering anyone who is a danger to his brother. Tess needs help and there's only one man she can turn to: Southern renegade ex-con Nicolas Villere, known to all as Po. Po always gets his man, but he has never been teamed with a woman before. Both have their own agenda for taking on this case, and neither fully trusts the other. But of one thing they are sure: if they don't cover each other's backs, they are both going to die.